The Atlanta BeltLine is a large city project to provide new greenspace, street art, hiking trails, and a pedestrian and rail line to connect the greater Atlanta area. While the construction of the BeltLine is still ongoing, three trails (Eastside, Northside, and West End), several parks, and art pieces have already been open for quite some time. 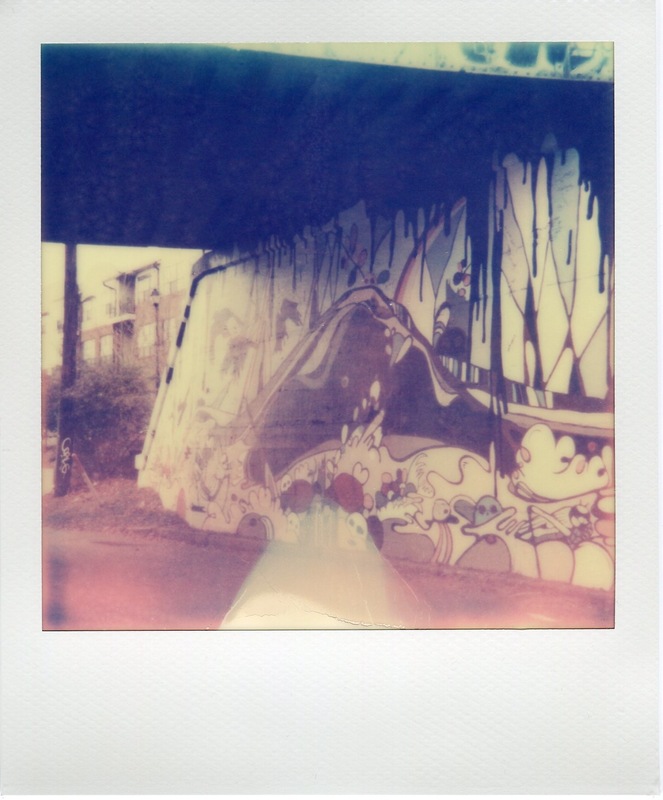 While driving around the city, I often see bits and pieces of the street art on the BeltLine. When a friend visited a few months ago, it seemed like the perfect time to finally explore the BeltLine on a warm day. The access points can be tricky to find, so I recommend looking them up online beforehand. It’s also much easier to access by bike or foot, and parking can be difficult to find at times near access points. We decided to try the Southeast area (access point: Wylie Street and Memorial Drive), as we had brunch nearby. Sculpture by Mike Wsol and GSU’s Department of 3D Studies titled “The BeltLine Bridge”. This piece sits directly on top of the abandoned railway that marks the trail of the BeltLine. This Southeast area is not a park, but part of ongoing construction of the trail and one of the concentrated areas with visual installations. There were free-standing pieces, murals on warehouses and underpasses surrounding the trail, and installations that utilized the surrounding trees and nature. Some pieces were interactive, like a collaborative poetry collection that hung off of a cluster of tree branches, while some pieces had display placards but had actually disappeared. 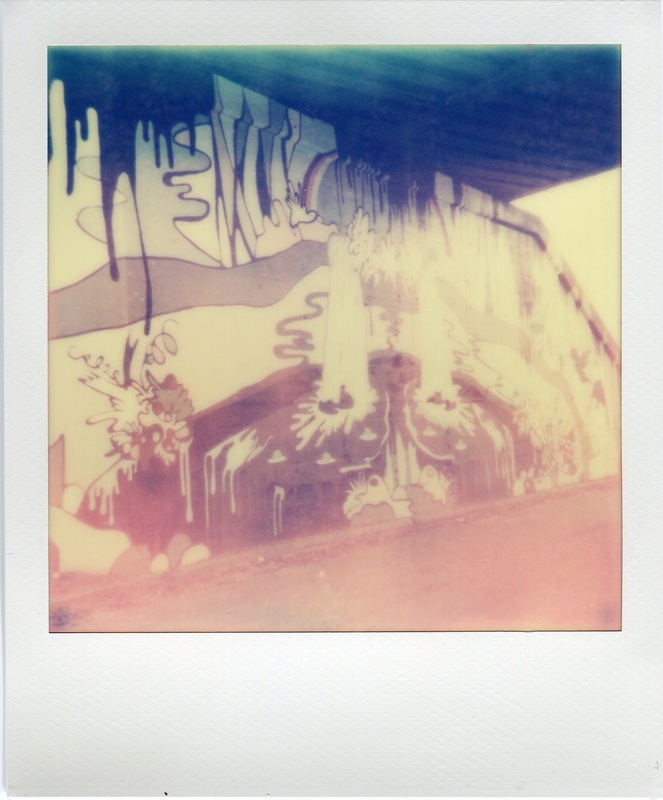 Untitled mural by Sarah Emerson under a bridge. Remember to look under you, or you might miss something amazing. Other half of the untitled mural by Sarah Emerson. 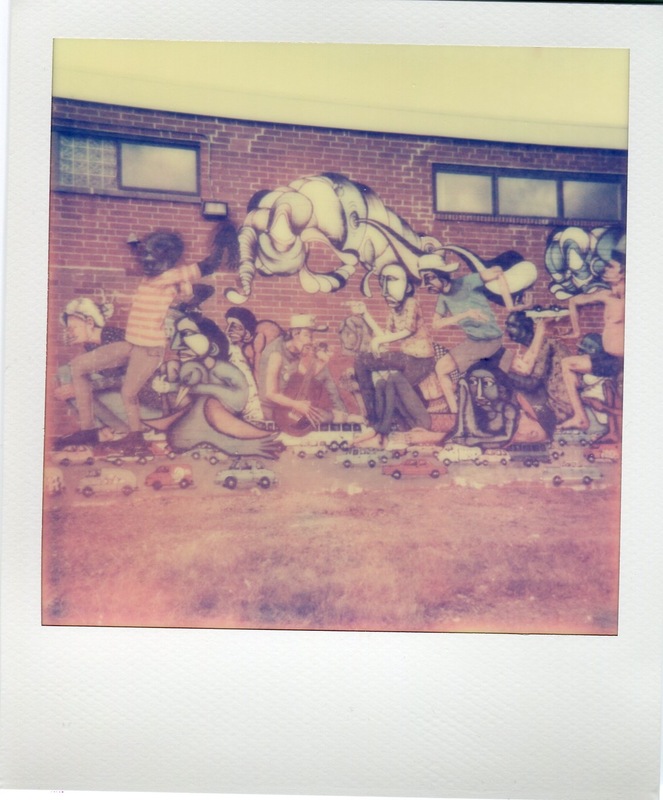 These polaroid photos are just a few examples of the beautiful street art and art installations featuring local artists on the BeltLine. Be sure to look up, down, and all around you to catch all the artwork. It might just be hiding under that bridge you’re walking on. While not all parts of the BeltLine are finished, you should be able to hike or ride your bike from one trail/park to the next for most of it. Labrona and OverUnder Gawd’s untitled mural, which is part of the Living Walls 2011 exhibit. 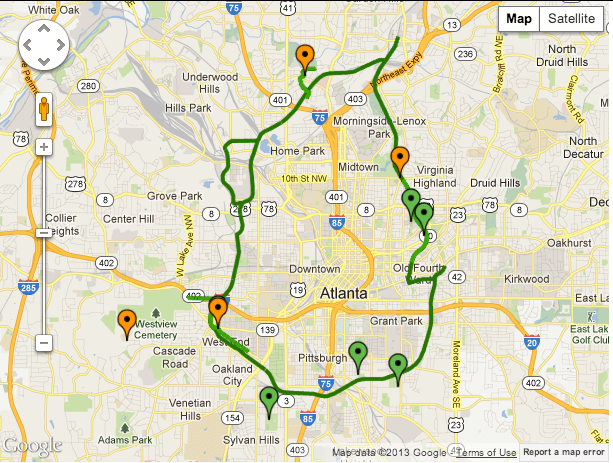 I have yet to explore the the part of the trail that is closest to me, the Eastside Trail that begins at Piedmont Park in the north and travels down to Inman Park in the South, but I certainly will once the weather warms up. There are dozens more sculptures and murals there and I’m sure more to be added in 2013. Additionally, look out for live performance art (dance, theater, music) on the trail. You can find event dates and times on the BeltLine website and Twitter. For a full list of local artists who have participated and contributed to art on the BeltLine, check here. This entry was posted in Atlanta, Explore and tagged art, beltline, bikes, do, hiking, local artists, murals, street art, trails. 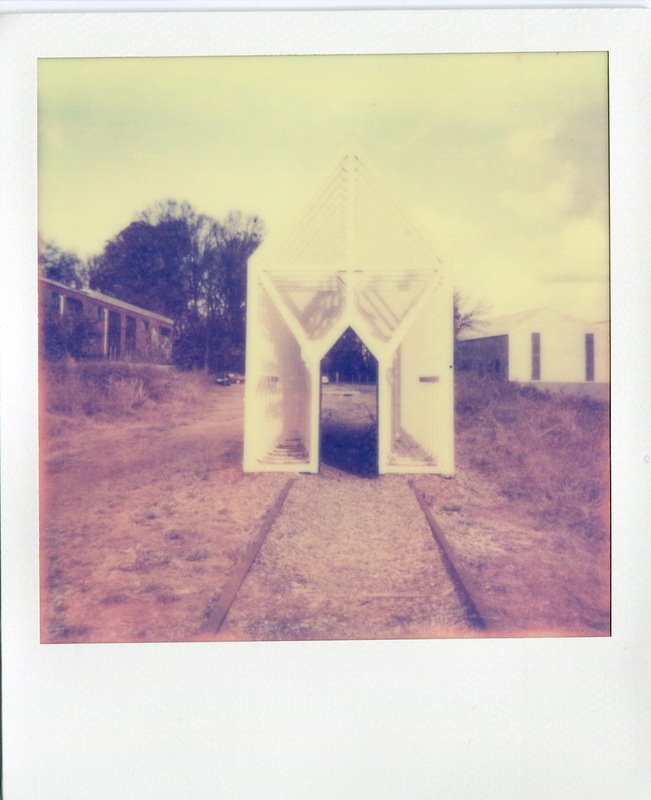 Charlene (Atlanta) is a Ph.D student, foodie, TV fanatic, jetsetter, and lomographer. After growing up in Palo Alto, she went to the University of California, San Diego, studied abroad in Rome, and worked for “the man” in D.C., before finally landing in Atlanta. When she’s not trying to cure HIV, she’s blogging about the ATL food scene, obsessing about Aziz Ansari and corgis, and trying to teach friends how to travel for free. Say hello to her on Twitter @foundATL.